At 19 years old, Saracen first got into bodybuilding. During breaks from work, Saracen started training, and after watching a bodybuilding show in 1986 his training went up even further. Saracen changed careers and started work in a gym in Covent Garden. His career changed again and he became a full-time fireman in South London. Saracen and his girlfriend, Chrissie, both tried out for the Gladiators show in 1992, Chrissie becoming a first series contender and of course Saracen joining the team. They are now happily married. Saracen is one tough Gladiator, not only is he the King of Hang Tough, with only one Contender ever reaching his platform, but he has also proved himself to be a force to be reckoned with on Duel and Powerball to name just a few. 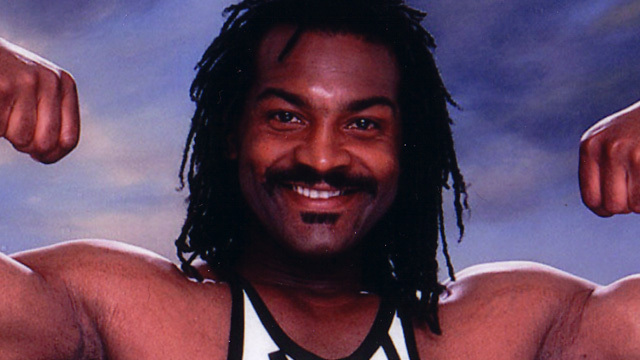 He is only one of four remaining Gladiators from the original line-up, and went from strength to strength each series. Saracen was also part of the special UK international team that went to compete against South Africa in the Springbok Challenge 2000. Saracen is also a real life super hero, he recently retired from working as a full-time fire fighter. The fans know there's only one Saracen! In 2015, he took part in ITV's Ninja Warrior show.